Your unique culture and values are the strength of your small or midsize enterprise. 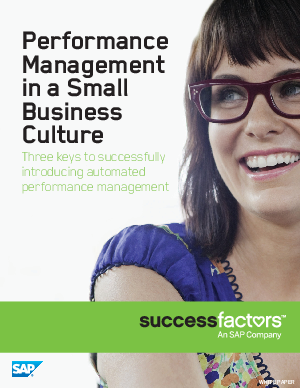 The idea of introducing formal processes for performance and goal management may seem at odds with cultural elements that define your business today. This does not need to be the case. Actually, effective performance management processes teamed with a strong organizational culture creates the perfect marriage: The right combination of people and process can reinforce each other’s strengths, improve productivity, increase engagement, and deepen commitment.